Finally! The full scoop on he-who-can’t-be-bothered-to-buy-me-a-drink, aka My One O’Clock. To re-cap, I first met My One O’Clock for coffee during my double-header Sunday a few weeks ago. I found him immensely attractive, immensely intriguing and immensely infuriating. He goes incommunicado rather often and even though he professed to *love* my column, I’m not entirely convinced that he actually read it because he remains rather oblivious to my… er, schedule. Despite my better judgment, I agreed to meet him for a second date (which took place last Monday). Here is where it gets i-n-t-e-r-e-s-t-i-n-g.
As it turns out, there’s a reason that My One O’Clock was so vague about his previous place of employ, a reason why he *loved* my column and a reason why he’s so damn charming (despite his deplorable manners in the dating department). And now that he’s finally responded to my email (in which I asked for his permission to disclose following), I can tell you what this reason is: he used to be a DATING COACH. That’s right, folks: a dating coach. You couldn’t make this sh*t up. Seriously. Former dating columnist meets former dating coach? It’s like a bad romantic comedy waiting to happen. I used to think I was good (after all, even though I’m still single, the majority of my 25 first dates ended in the request for a second) but My One O’Clock has small talk down to art. He’s so skillful in making, breaking and maintaining eye contact that he could teach classes on the subject. In fact, considering what he used to do for a living, he probably has. 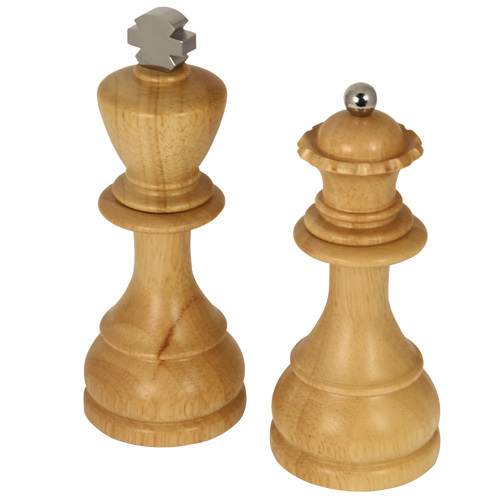 King takes Queen or vice versa? Nonetheless, if I’ve learned anything over the past nine months, it’s that dating is a skill. Confidence and composure can be learned; flirtation can be practiced. But what happens when two people this invested in the art of courtship get together? I feel like he’s trying to beat me at my own game just as I’m trying to outmaneuver him, and unlike most of the men I’ve dated, he actually knows the rules. Wow! What are the odds? Very interesting, Kat. But yeah, what happened the pay for drinks part of the coaching or is he a ‘do as I say, not as I do’ sorta guy? Can’t wait to hear what happens next! Yeah, I’m curious about that myself. Of all people, he should know better right? So obviously he’s deliberately breaking the rules… now I just have to figure out why and how to get him to stop! I understand that there’s a huge element of sophistication in the dating process, but whatever happened to just plain upfront and honest gestures, reactions, and eye contact? Could it be that this dating science is a cover-up for a guy who’s just not worth it? With all the dating protocol, it’s no wonder that people don’t make it past two or three dates, as they are forever battling with the headgames that just breed insecurity. People would be better off being less complicated – at least this way you save a lot more time and money. I know it is very complicated, glad I’ve been out of the “game” for over 30 years…HOWEVER, just yesterday, we sat next a young couple (just co-workers) and the guy was lamenting the fact that a young woman was peeved with him over his not calling or getting together when he just “mentioned” doing so, and the female co-worker was telling him that his reasoning was flawed, that the young woman has expectations when a guy mentions that he “may” call…I had to chime in, (excusing myself of course), saying that his co-worker was correct, that women, in general, take things much more seriously and literally. It would be wonderful and simpler if we (males and females) all just spoke the same language! Mehhhh, this guy sounds like a player. Until he let’s down the “professional dating coach” act, I would be suspicious of him. Otherwise, how do you know he’s being genuine? Dating is a skill, yes, but certainly not a game – not where matters of the heart are concerned (experiment, yes, game, no). You may want to be very wary of this one until he departs from the behavioral status quo. Augh, pardon the contracted “lets.” I hate when I do that. Why would a dating coach be single?